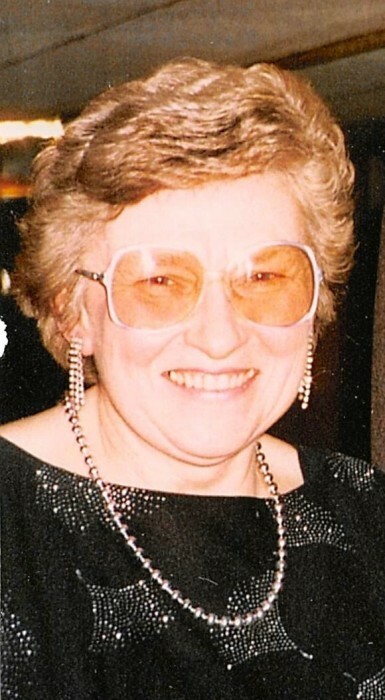 Elaine M. Fogg, 88, of Harbeson, passed peacefully at home on August 22, 2018 in the loving care of her son, daughter-in-law, and granddaughter. She was born in MN, raised in Canton, NJ, moved to PA to work and raise a family, and retired in DE. She worked in the telecommunication business for the majority of her life, employed with Sorbus, Bell Atlantic and retiring from Verizon. She always helped her husband, cared for their three children and enjoyed their many animals. She was happiest on family vacations and going for joy rides on their pontoon boat. She enjoyed playing the organ and singling her favorite hymns. In addition to her parents, she was preceded in death by her husband, Edward C. Fogg in 2008 and son, Edward H. Fogg in 1985. Elaine is survived by son, Eric Fogg, and wife, Janet, of Harbeson, DE and daughter, Ellen Holtz, of Bethlehem, PA; and granddaughter, Diana Fogg, of Rehoboth Beach, DE. Services will be held on Tuesday, August 28, 2018 at Lewes Presbyterian Church. Friends and family may call for visitation and viewing will be from 11:00 AM till 11:30 AM. The funeral service will commence at 11:30 AM. Pastor Harry Hughes will be the officiant. Interment will immediately follow at the Woodlawn Memorial Park, Millsboro. In lieu of flowers, donations may be submitted to the Lewes Presbyterian Church, After School Program, 133 Kings Highway, Lewes, DE 19958.